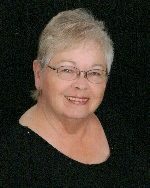 Marijean Messick, nee Knight, 76, of Belleville, IL, born July 9, 1942, in Parma, MO, died Thursday, January 31, 2019, at Barnes-Jewish Hospital, St. Louis, MO. Mrs. Messick was a secretary, working in civil service for the U. S. Air Force for her career, eventually retiring as the Scott Air Force Base Hospital Commander’s secretary. She was a member of St. Paul United Church of Christ, Belleville, IL, and served on the Mission and Community Service Board for nine years. Marijean served as treasurer in the church’s Fireside Club and served as vice president of the “Sharing and Caring” group. She was an avid game, puzzle, and card player, and was a member of “The Shufflers” card club at St. Paul’s. For the past 19 years, Marijean volunteered three times a week at the Community Interfaith Food Pantry and was very beloved by the many people she helped. Marijean was preceded in death by her parents, T. C. “Encil” and Mary Imogene, nee Nolan, Knight; and two brothers, Robert N. and William T. Knight. Memorials may be made to the Community Interfaith Food Pantry or to St. Paul United Church of Christ. Condolences may be expressed to the family online at www.rennerfh.com. Visitation: Friends may visit from 4 to 7 p.m. Tuesday, February 5, 2019, at George Renner & Sons Funeral Home, Belleville, IL. Funeral: Funeral services will be held at 7 p.m. Tuesday, February 5, 2019, at George Renner & Sons Funeral Home, Belleville, IL, with Rev. Michelle Torrigan and Rev. Gustav Kuether officiating. Burial will be at Jefferson Barracks National Cemetery, St. Louis, MO, at a later date. We are sorry for your loss. She was a saint of the church with a winning smile and truly giving heart. Our prayers are with all of you. Marijean was a wonderful lady both inside and out! My deepest sympathy for your loss. Your family is in my thoughts and prayers! Kelli, I am so sorry for your loss. I can see where you get your beauty and your kind heart from. Both you and your mother's smiles shine through your eyes. Her community service and your nursing career show how caring you are. You and your family are in my prayers. God bless.